With job losses soaring nationwide, Senate Democrats reached agreement with a small group of Republicans Friday night on an economic stimulus measure at the heart of President Barack Obama‘s plan for combatting the worst recession in decades. “The American people want us to work together. They don’t want to see us dividing along partisan lines on the most serious crisis confronting our country,” said Sen. Susan Collins of Maine, one of three Republican moderates who broke ranks and pledged their votes for the bill. Democratic leaders expressed confidence that the concessions they had made to Republicans and moderate Democrats to trim the measure had cleared the way for its passage. No final vote was expected before Monday. Officials put the cost of the bill at $827 billion, including Obama’s signature tax cut of up to $1,000 for working couples, even if they earn too little to pay income taxes. Also included are breaks for homebuyers and people buying new cars. Much of the new spending would be for victims of the recession, in the form of unemployment compensation, health care and food stamps. Republican critics complained that whatever the cost, billions were ticketed for programs that would not create jobs. In a key reduction from the bill that reached the Senate floor earlier in the week, $40 billion would be cut from a “fiscal stabilization fund” for state governments’ education costs, though $14 billion to boost the maximum for college Pell Grants by $400 to $5,250 would be preserved, as would aid to local school districts for the No Child Left Behind law and special education. A plan to help the unemployed purchase health insurance would be reduced to a 50 percent subsidy instead of two-thirds. The agreement capped a tense day of backroom negotiations in which Senate Majority Leader Harry Reid, joined by White House chief of staff Rahm Emanuel, sought to attract the support of enough Republicans to give the measure the needed 60-vote majority. Democrats hold a 58-41 majority in the Senate, including two independents. Uncertain of the outcome of the talks, Democrats called Sen. Edward M. Kennedy back to Washington in case his vote was needed. The Massachusetts senator, battling brain cancer, has been in Florida in recent days and has not been in the Capitol since suffering a seizure on Inauguration Day more than two weeks ago. In addition to Collins, Republican Sens. 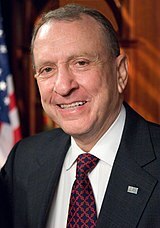 Arlen Specter of Pennsylvania and Olympia Snowe of Maine pledged to vote for the legislation. Whatever the price tag, the compromise marked a victory for the new president, who has veered between calls for bipartisanship and increasingly strong criticism of Republicans in recent days. And it indicated that Democratic leaders remain on track to deliver a bill to the White House by the end of next week. Obama said earlier in the day that further delay would be “inexcusable and irresponsible” given Friday’s worst monthly unemployment report in a generation — 598,000 jobs lost in January and the national unemployment rate rising to 7.6 percent. And late Friday, federal regulators announced the closures of three banks, First Bank Financial Services in Georgia and Alliance Bank and County Bank in California, raising to nine the number of bank failures this year. “The world is waiting to see what we’re going to do in the next 24 hours,” said Reid who has spent much of the week trying to balance demands among moderates in both parties against pressure for a larger bill from liberals in his own rank and file. By midday, the majority leader had spoken once with Obama by phone and five times with Emanuel. He met with Collins and Specter as well as Sen. Ben Nelson, a conservative Nebraska Democrat who had long advocated cuts in the House-passed bill. Later, Nelson declared on the Senate floor, “We trimmed the fat, fried the bacon and milked the sacred cows.” He said the compromise included $350 billion in tax cuts that would reach 95 percent of all Americans. One Republican-proposed document that circulated earlier called for cuts of $60 billion from money Democrats want to send to the states. That money is targeted to avoid budget cuts for schools as well as law enforcement and other programs. Talk of cuts in proposed education funds triggered a counterattack from advocates of school spending as well as unhappiness among Democrats. One, Sen. Carl Levin of Michigan, told reporters he and others hoped that some of the funds on the chopping block would be restored next week when negotiations open on a House-Senate compromise. At its core, the legislation is designed to ease the worst economic recession in generations, and combines hundreds of billions of dollars in new spending with tax cuts. Much of the money would go for victims of the recession in the form of food stamps, unemployment compensation and health care. There are funds, as well, for construction of highways and bridges. But the administration also decided to use the bill to make a down payment on key domestic initiatives, including creation of a new health technology industry and so-called green jobs designed to make the country less dependent on imported oil. And Democrats in Congress decided to add additional huge sums for the states struggling with the recession, as well as billions more for favored programs such as parks, the repair of monuments in federal cemeteries, health and science research and more. With Obama enjoying post-inauguration support in the polls and the economy shrinking, Democratic leaders in Congress have confidently predicted they would have a bill to the president’s desk by mid-February. But Republicans, freed of the need to defend former President George W. Bush‘s policies, have pivoted quickly to criticize the bill for its size and what they consider wasteful spending. The entire Republican rank and file voted against the measure in the House, effectively prodding senators to take up the same cause. In the intervening days, Republicans have appeared to catch the administration and its allies off-guard, holding up relatively small items for ridicule and routinely seizing on comments from Democrats critical of the House-passed bill. At the same time, they have stressed a desire to help the economy but have said they prefer tax cuts and spending that would have a more immediate impact on job creation. Privately, Democrats in Congress have been critical of Obama and his aides for failing to counter the Republicans more effectively. In recent days, the president has sharpened his rhetoric against unnamed critics of the bill whom he accused of trying to re-establish the “failed policies” of the past eight years. Despite the struggle, some Republicans seemed to sense the White House would ultimately prevail, and sought political mileage. Associated Press writers Andrew Taylor, Erica Werner, Julie Hirschfeld Davis, Liz Sidoti and Stephen Ohlemacher contributed to this report. You are currently browsing the archives for the Susan Collins category.